Don’t be deceived by the looks. The new 2018 Mercedes-Benz G-Wagen (yes, we know, it’s officially the G-Class now) barely shares any of its greasy bits with its predecessor. 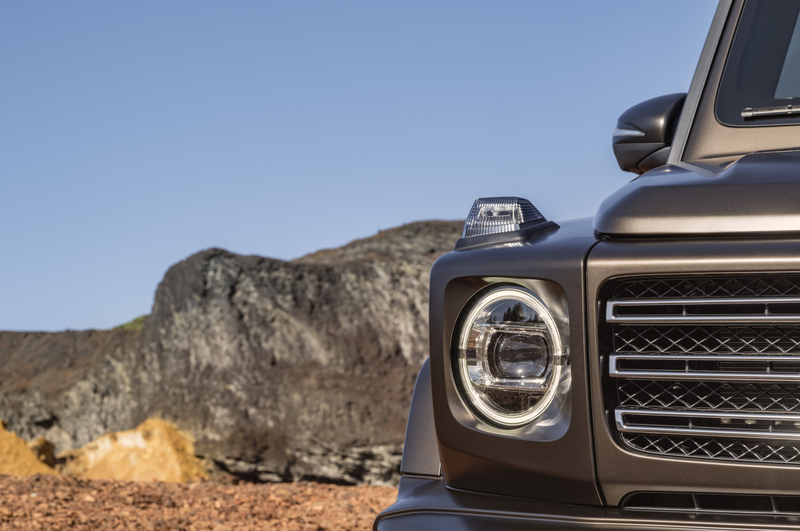 After 40 years of unwavering service, Merc’s iconic 4×4 has been given a comprehensive overhaul; only the spare wheel cover, sun visor, door handle lock, headlight washer and tow bar are carried over from its predecessor. 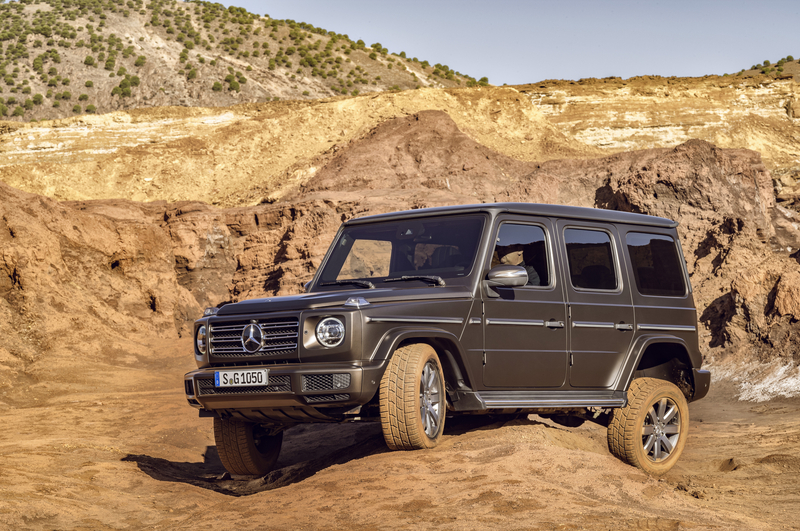 Despite this, the 2018 Mercedes-Benz G-Wagen is definitely cut from the same cloth as the outgoing iteration. The boxy styling has been subtly refined, with improved panel gaps, newly integrated bumpers and wheel arches, and LED headlights creating a slightly more modern, polished look. 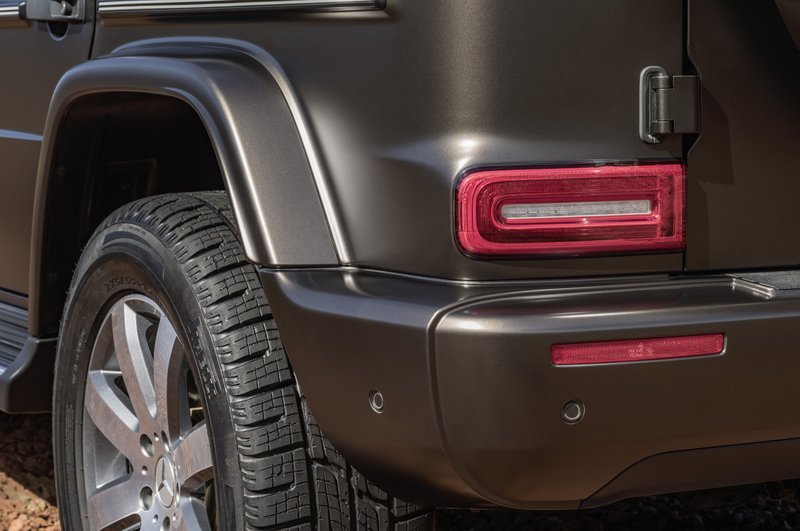 Space inside the old G-Wagen was at a particular premium so, to help rectify this, the new generation off-roader is 53mm longer and 121mm wider, bringing the added bonus of even more road presence (not that it needed it!). 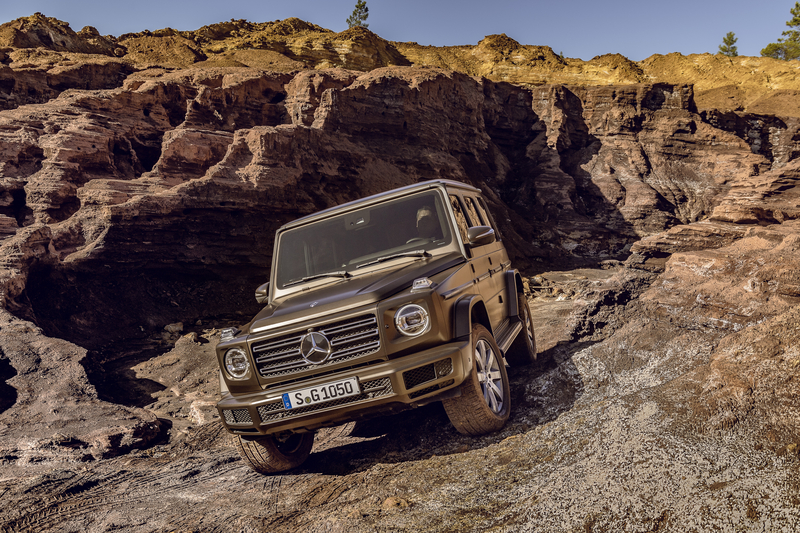 While most will end up spending their days tootling around the streets of South Kensington or Abu Dhabi, Mercedes have made sure the G-Wagen (sorry, “G-Class”) can handle itself when the going gets tough, helped by a diet that has seen it shed 170kg of unnecessary heft. 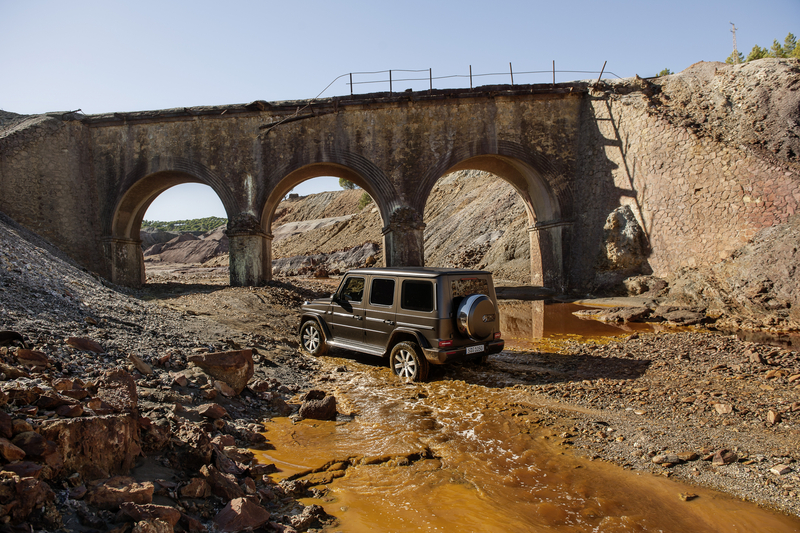 With the help of AMG, a new suspension design and setup aims to ensure the 2018 Mercedes-Benz G-Wagen can tackle your wildest off-road adventures with an increased front ground clearance of 270mm and still prove an inviting proposition to drive when back on the smooth stuff. 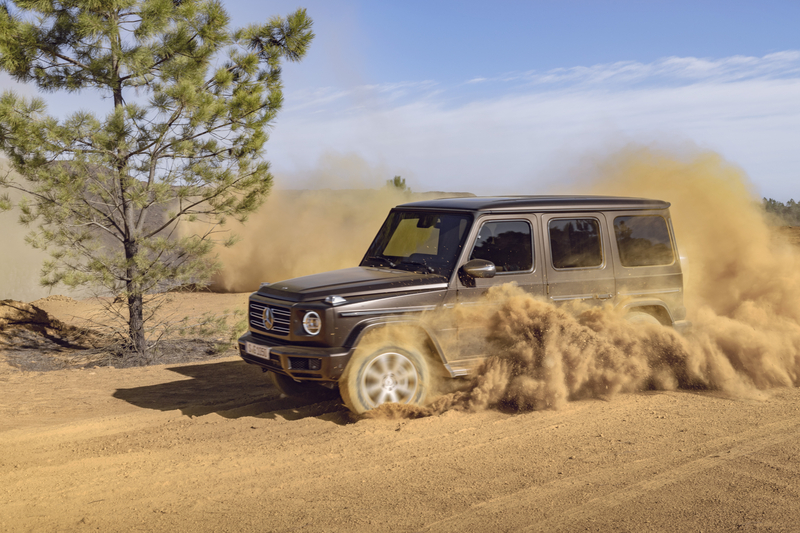 Tech-wise, the revamp has given Mercedes the chance to load the G-Wagen up with a host of new goodies, including a five-way ‘Dynamic Select’ adaptive drive system, which can adjust various parameters on the car (from throttle response to the optional adaptive suspension). 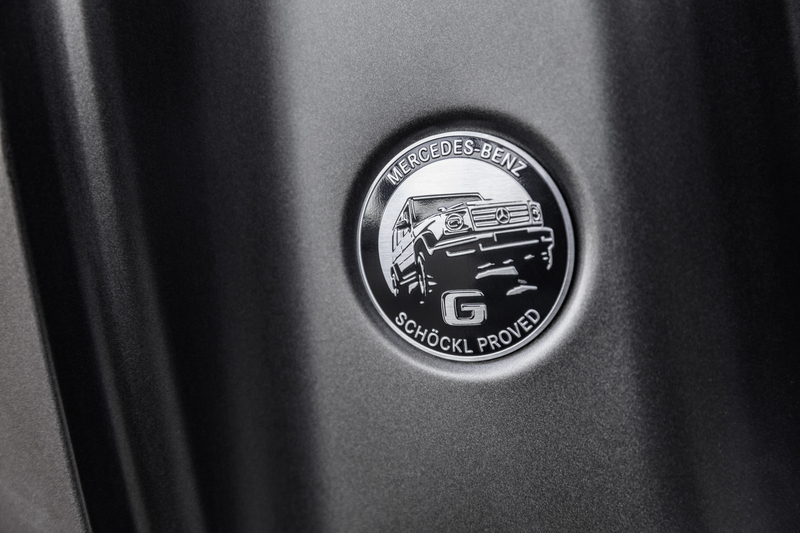 Instead, much like Land Rover’s Terrain Response system, G-Mode allows the new G-Wagen to adapt to the ground as soon as one of the three differential locks has been activated, ensuring effortless off-roading, even on the toughest terrain. 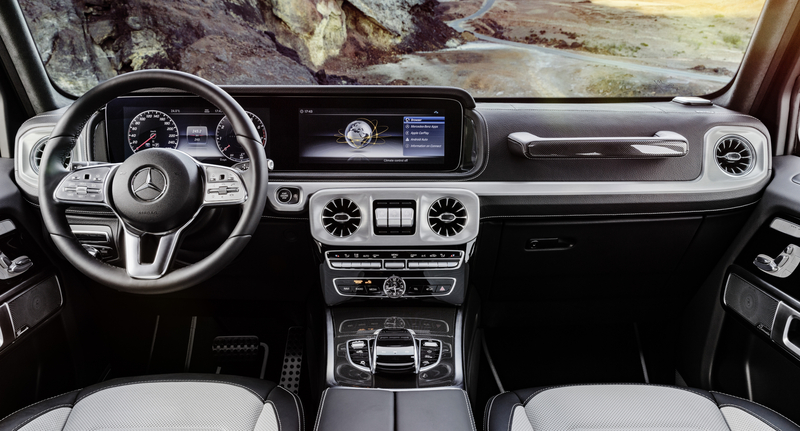 Inside, old-fashioned analogue gauges are provided as standard however, there is now the option of Merc’s stylish virtual cockpit (as seen in the latest E and S-Class). The ergonomics of the cabin switches has also been optimised, ensuring you keep more time with your eyes on the road. 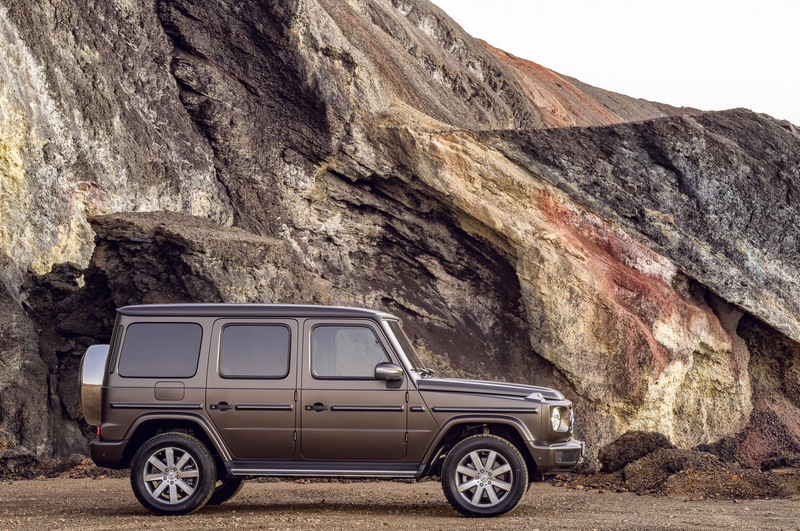 While the engine options and pricing for the UK have yet to be announced, in Germany the 2018 Mercedes-Benz G-Wagen is set to go on sale with a basic list price of €107,040.50.